Born in Cuncolim, Salcete, a village in tiny state of Goa, India. 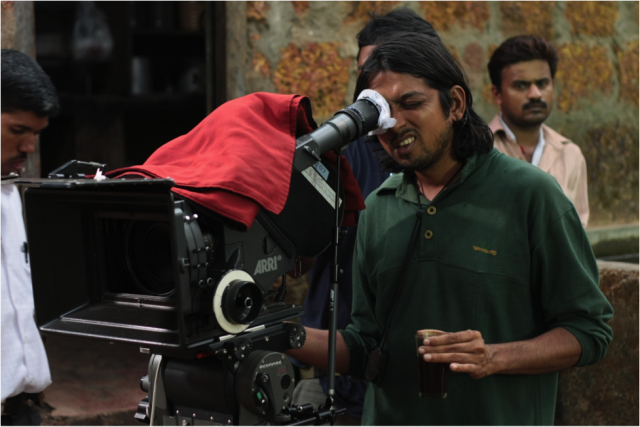 With a graduation in Theatre Arts from Kala Academy, Goa he started directing theatre productions in Goa. He took up a job of Actor-Teacher at India’s prestigious theater training school, National School of Drama, New Delhi. As Theatre was surviving on plays written decade ago, Shetgaonkar opted for improvised plays on contemporary issues. He believed in contemporary stories. “HARA SAMANDER” a play dealing with relationship between a special child and a normal boy was a critical success in India. During his stay in Delhi, he was exposed to cinema. He attended film festivals and overwhelmed with the quality of world cinema, he decided to take up the medium of cinema to express his concerns. He shifted his base to Mumbai and gathered knowledge of the new medium by working as an assistant director and screenplay writer. 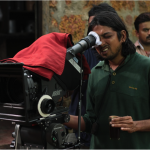 After four years of freelancing in Mumbai, he decided to make his debut film. He moved back to his native place in 2002, gathered his friends and formed Entertainment network of Goa. This organization pioneered cinema movement in Goa. It had limited resources but they created the path breaking films in Goa. A SEASIDE STORY, by Laxmikant Shetgaonkar was the first film to receive national level awards and recognition to Goa. It received the Golden conch for best fiction at Mumbai International Film Festival. Most importantly this 45 min. film was popular amongst masses. It was screened extensively by Govt., N.G.O’s, Panchayats and Colleges. The film was followed by Let’s talk about ‘IT’ a documentary on Baina, a red-light area. 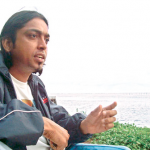 His films portrayed the social reality in Goa. IFFI made its base in Goa in 2004 and two film clubs were formed in the state. Screening of his films followed by Q and A became the norm. Films were discussed for the first time, in Goa. He wrote a feature film in 2004 but could not make it as the market for a Konkani film was small. His script was rejected by the Govt. But his work continued. Never discouraged with such setbacks he evolved an audience for himself. His first feature film was made after four years of struggle and received FIPRESCI prize at Toronto International film festival in 2009.Paltadacho Munis was invited to prestigious festivals like Toronto, Hong Kong, Cairo, Mumbai, etc. He has begun a cinema movement in Goa. The state Govt. on 2nd October 2009 honoured him for his outstanding achievement in the field of cinema and cinema movement in state. As the curtain opens for PALTADACHO MUNIS, a Konkani film as the opening film of Indian Panorama 2009, the world is introduced to a new cinema culture in India.